The team at Dalcor were concerned with a site that was easy to use, yet gave them the power to really communicate their business in a meaningful way. Topmost in their "wants" was an easy-to-use, but right there on the home page, search facility. 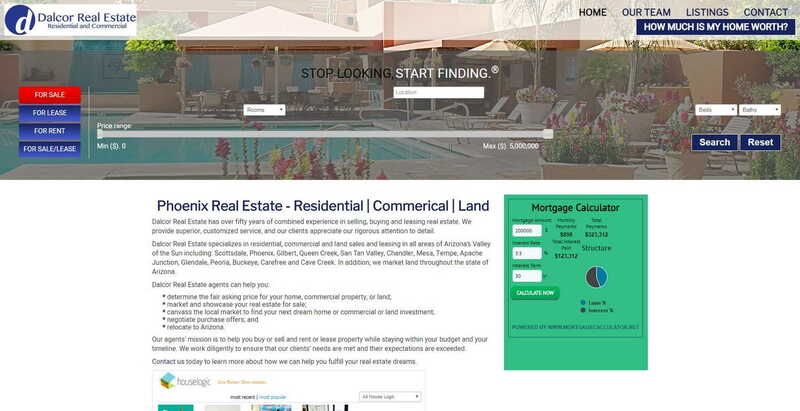 Fortunately, the real estate extension we used on this site had a search module as part of it, with a nifty looking slider for the dollar value of the home or lot.